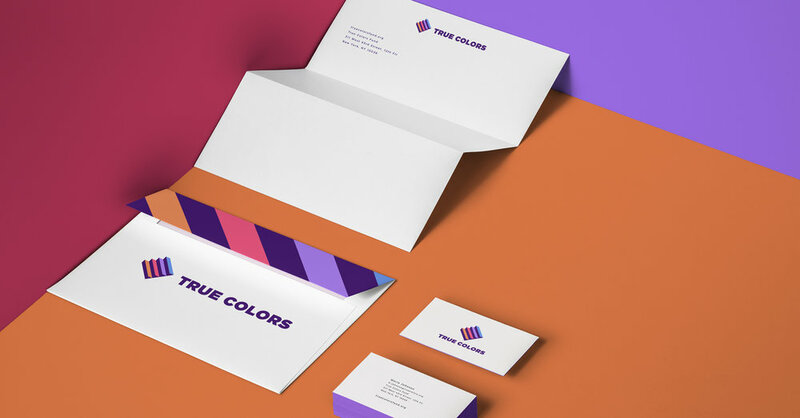 The Cyndi Lauper-backed True Colors Fund wanted to update their brand. They felt that the word “fund” was confusing because they are not a fund but a non-profit that helps homeless LGBTQ teens find housing. In evoking both a staircase and a precious gem, this logo concept for True Colors speaks to the value of diversity, a united community, and of rising up out of homelessness. Stacked and horizontal versions of the logo allow for versatility in different communications. Most competitors in True Colors' category use a traditional rainbow palette. To help True Colors stand out we explored a less expected palette that still integrates bright, muted, warm, and cool colors.